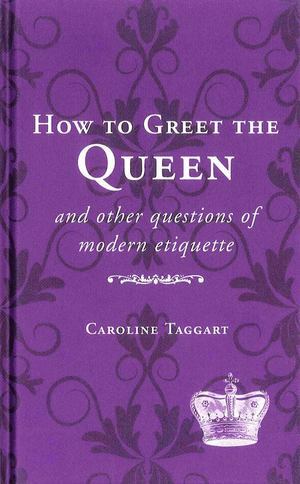 A follow-up to Her Ladyship's Guide to the Queen's English offers a practical, tongue-in-cheek look at all aspects of Royal manners and etiquette Her Ladyship gives practical and invaluable advice on every aspect of royal etiquette: how to behave correctly at formal occasions, and indeed how to follow royal etiquette and guidelines. She deals with basic good manners in a range of situations, both formal and informal occasions, whether at home, at work, or abroad. She will teach the reader such necessities as how to meet and greet The Queen and other royals; elegant ways of sitting down, standing up, and getting in and out of cars; and how not to look as if you are bored to death.